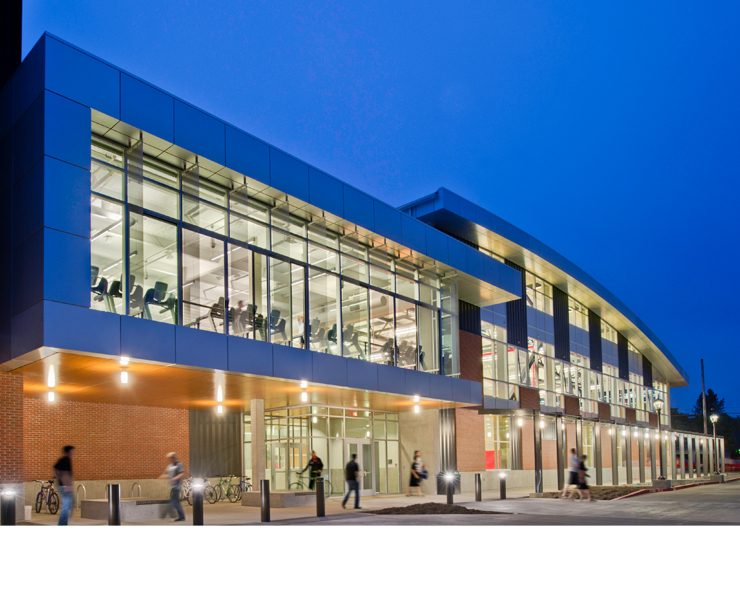 A complex renovation and expansion project, the new 113,000 sf Health and Wellness Center is a state-of-the-art, sustainable sports facility. 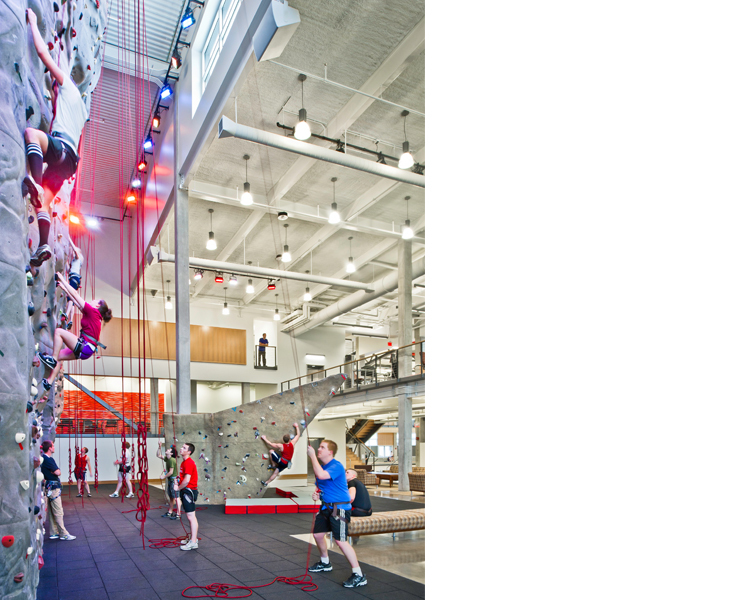 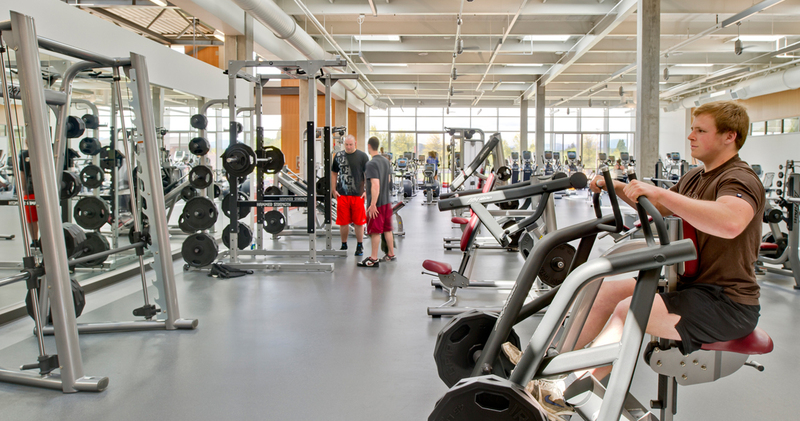 The 80,000 sf addition includes equipment room, lockers, training facilities, cardio and weight training areas, racquetball courts and a climbing wall. 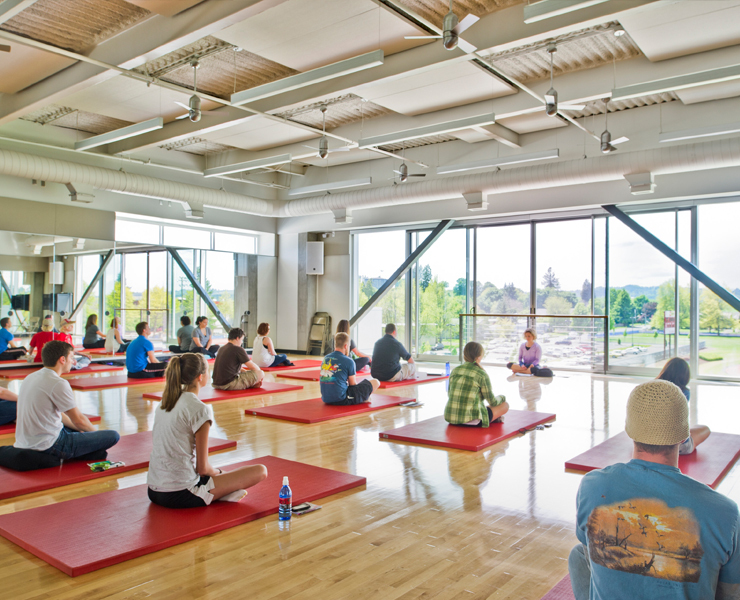 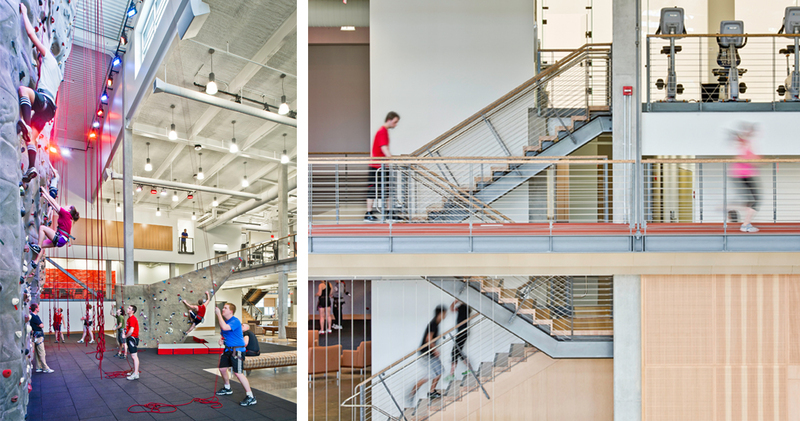 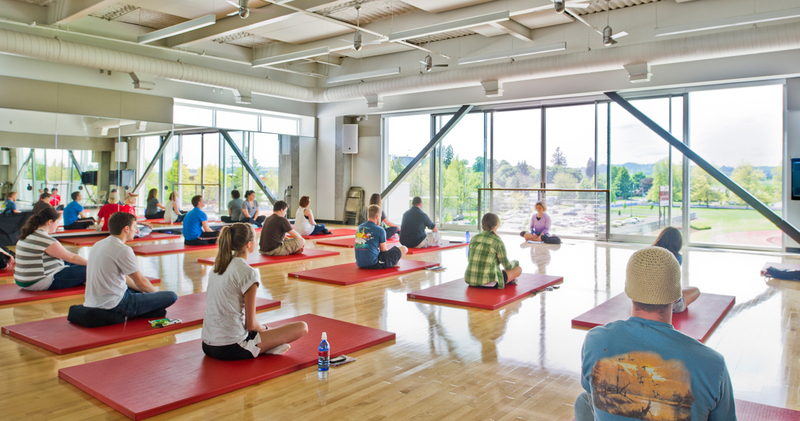 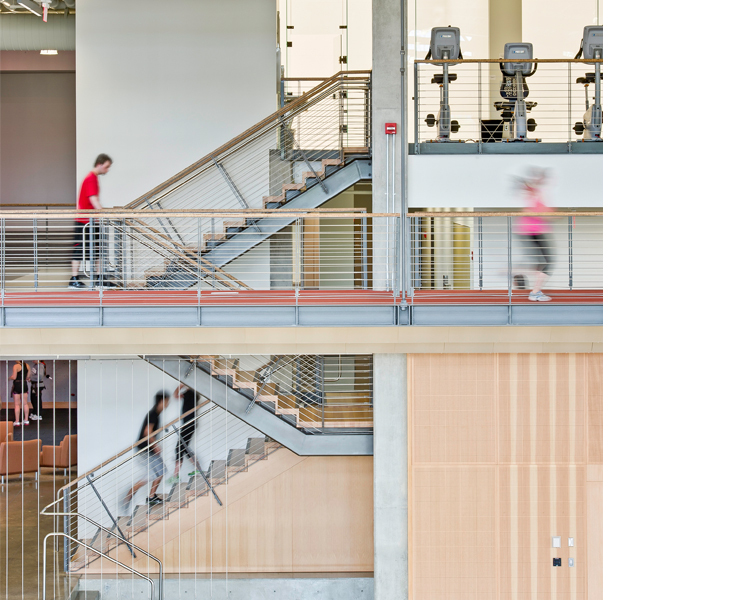 Four multipurpose rooms support dance, aerobics, spinning, yoga, and martial arts classes. 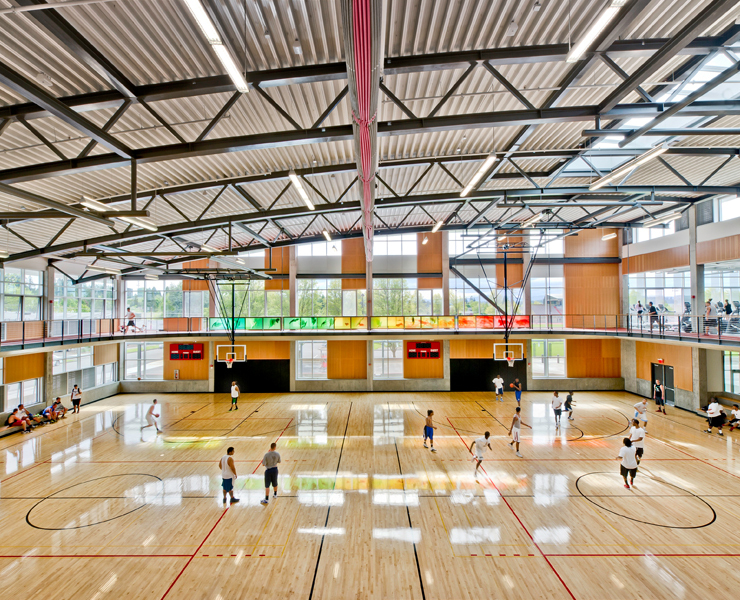 The centerpiece, a sun lit, two-court gymnasium, includes a cantilevered running track and extensive transparency into activity areas. 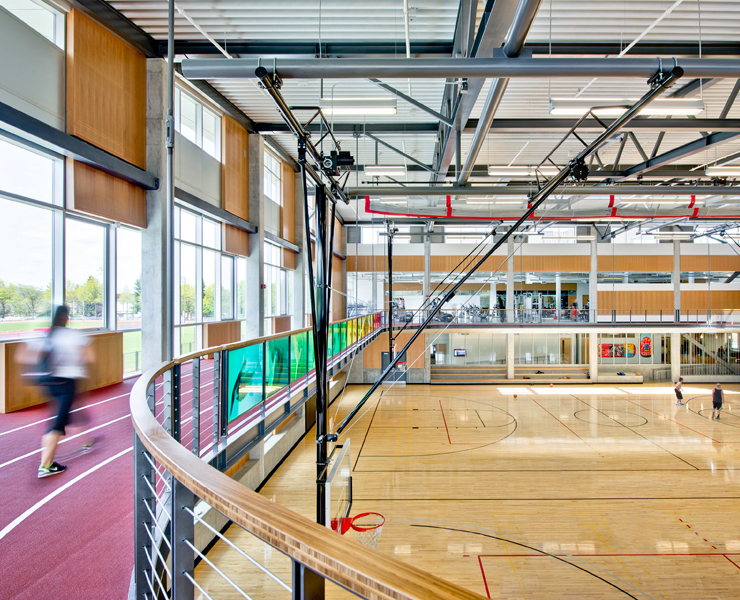 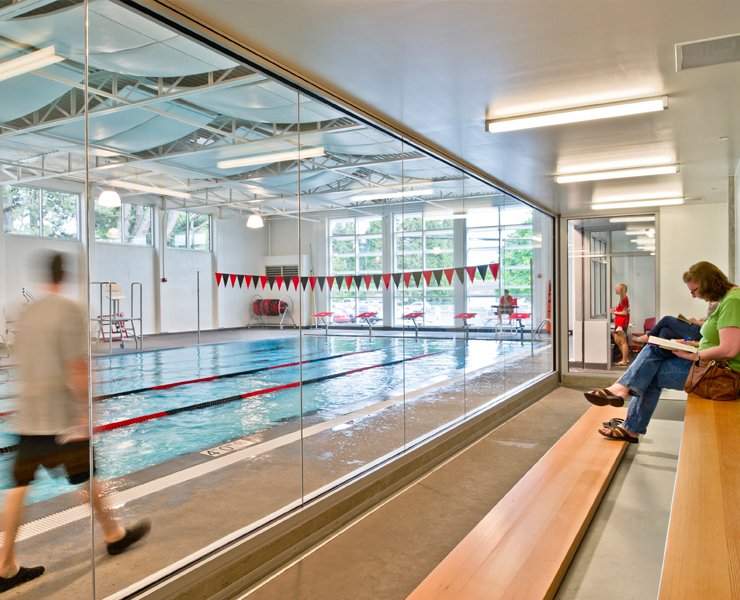 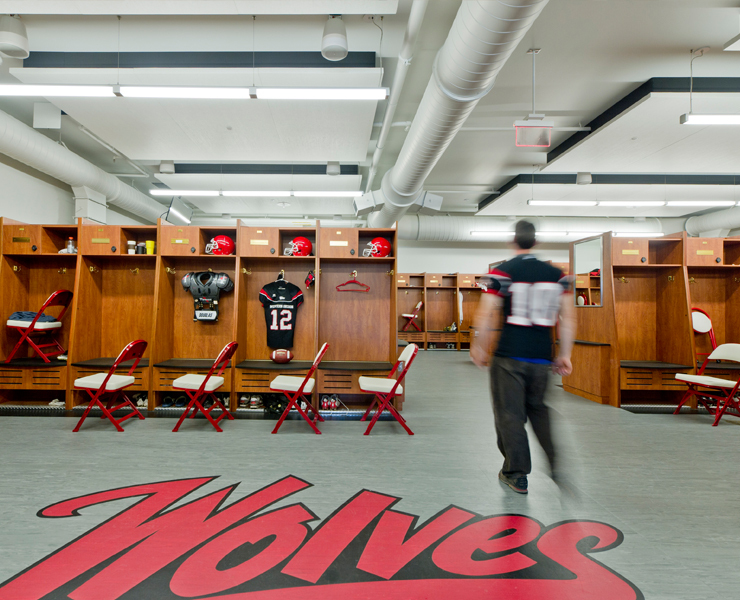 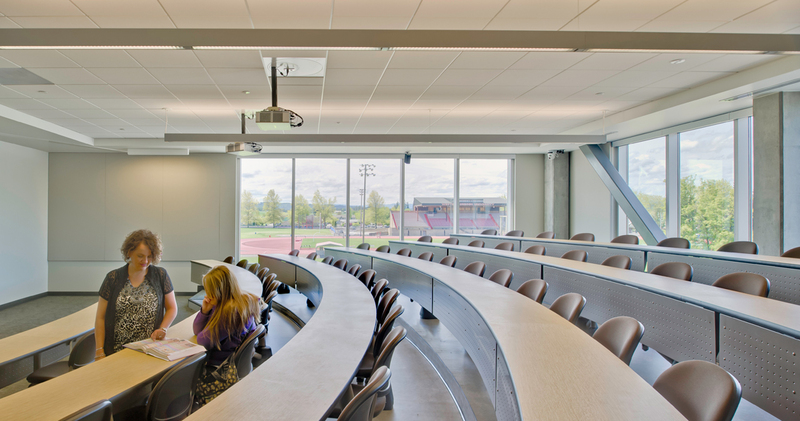 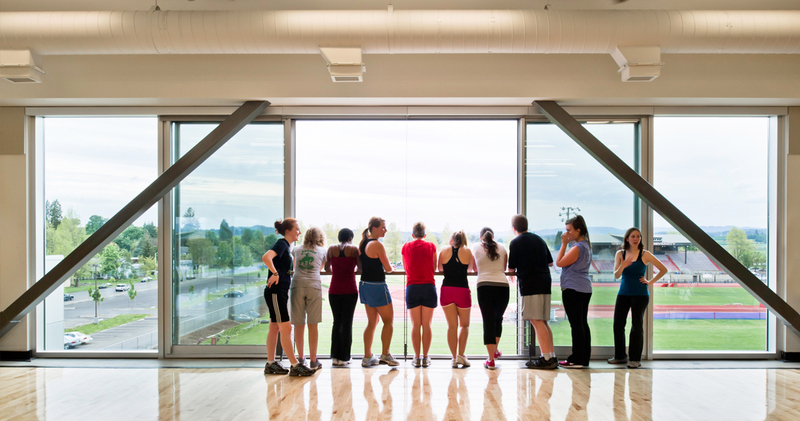 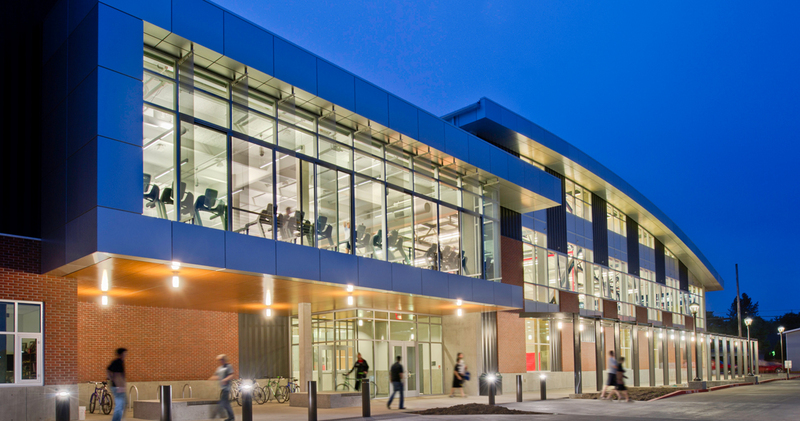 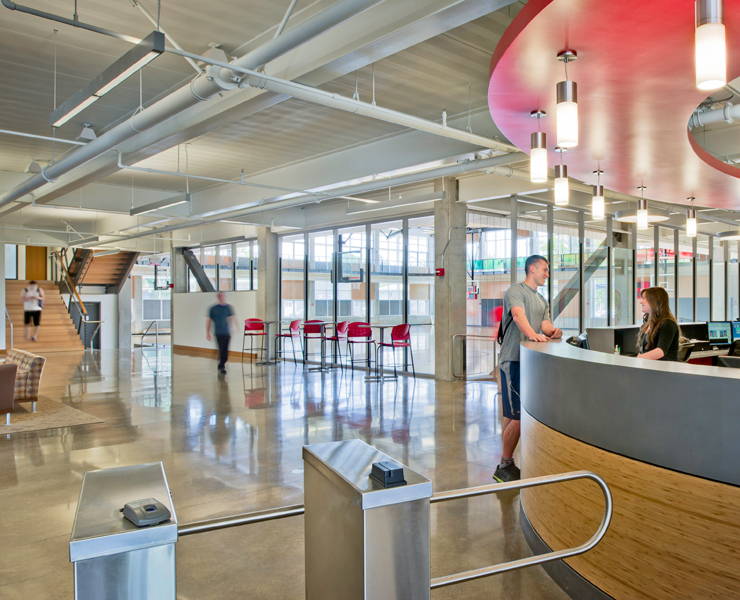 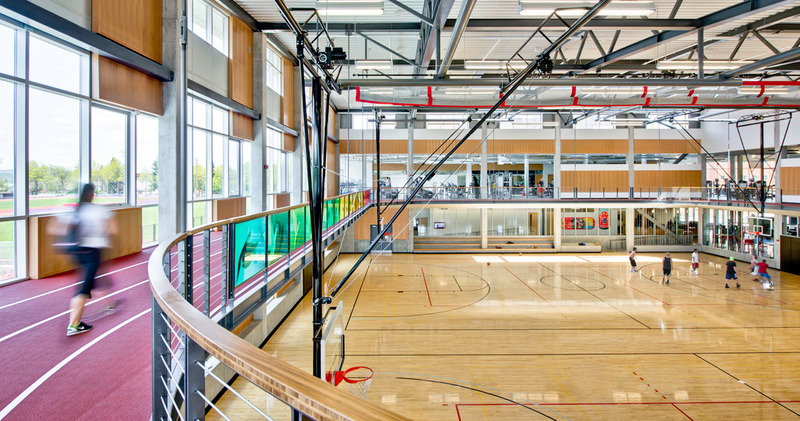 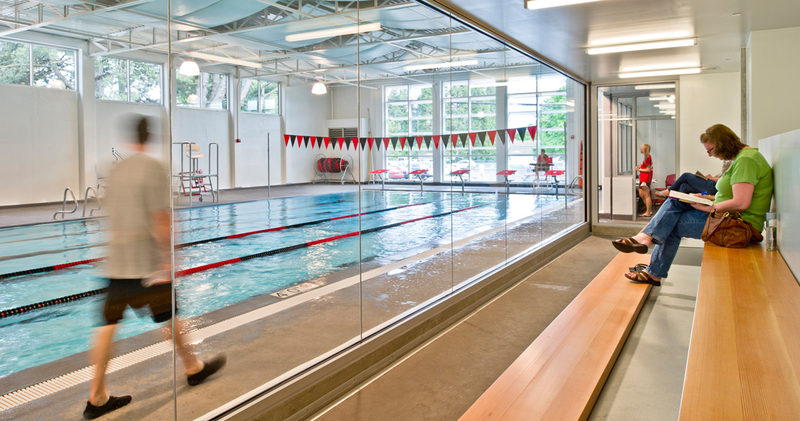 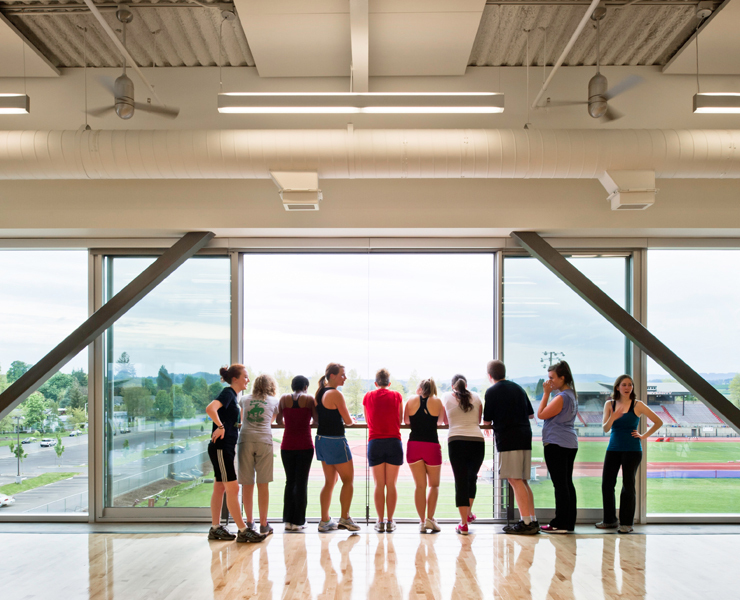 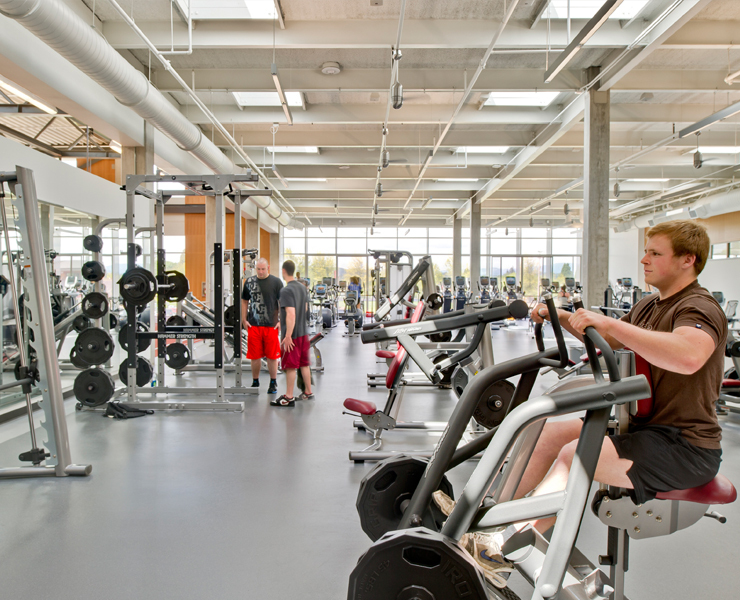 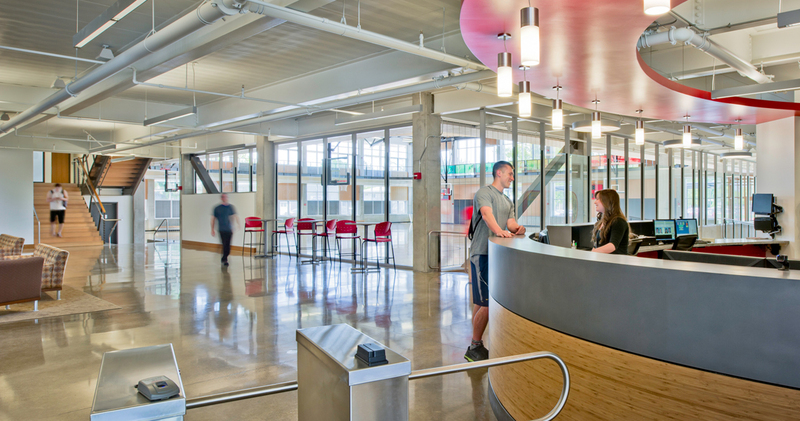 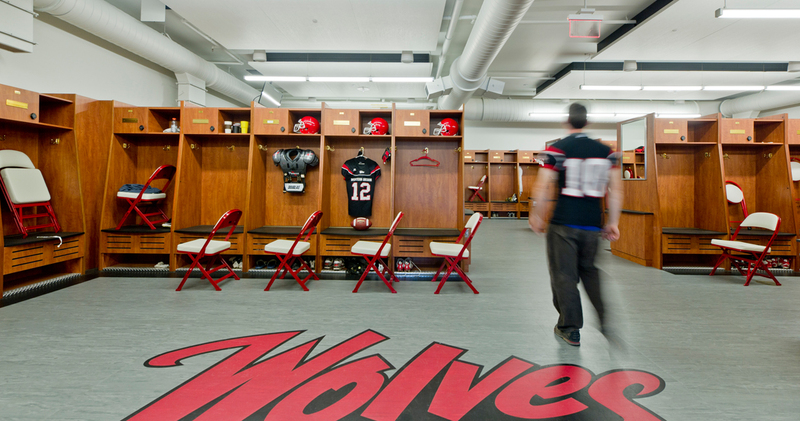 The facility is unique in its mixed-use combination of student recreation, athletics, the home of the WOU football team, and housing more than 20,000 sf of classrooms, labs and meeting facilities. 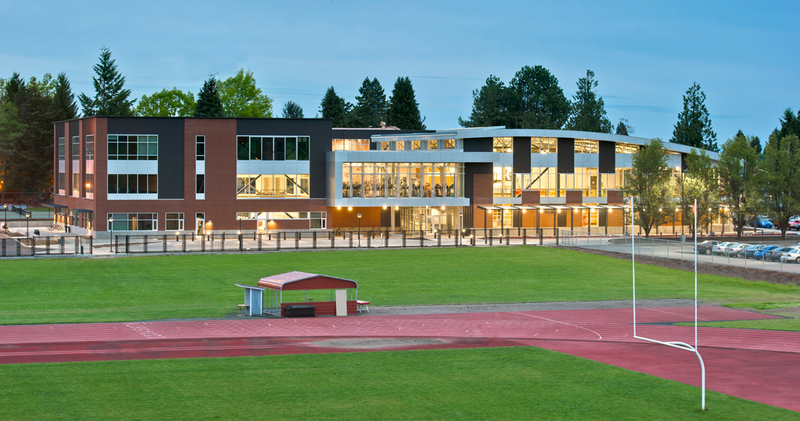 The existing offices, dance studio, gymnasium and natatorium have been renovated and seismically upgraded. 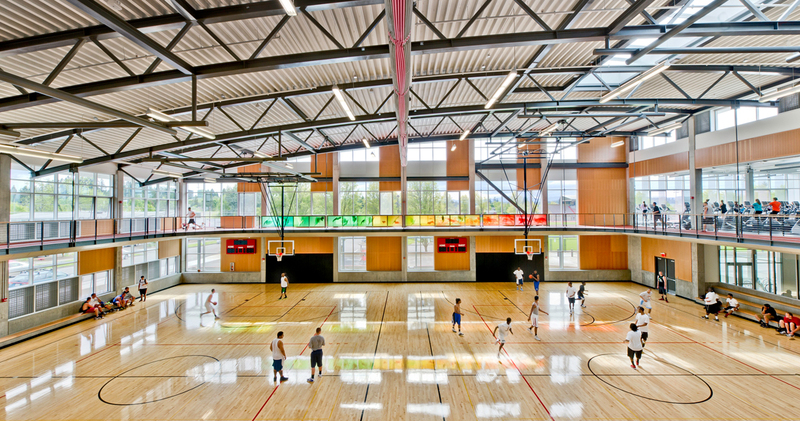 The LEED Gold project uses natural ventilation and daylighting strategies, including sunshades, operable windows, and skylights. 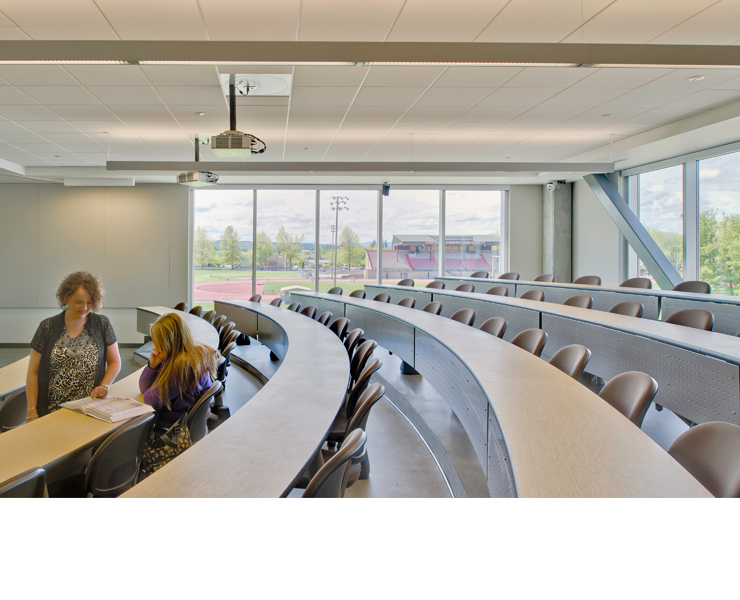 The project was fast tracked using CM/GC construction delivery and was partially occupied during much of the construction. 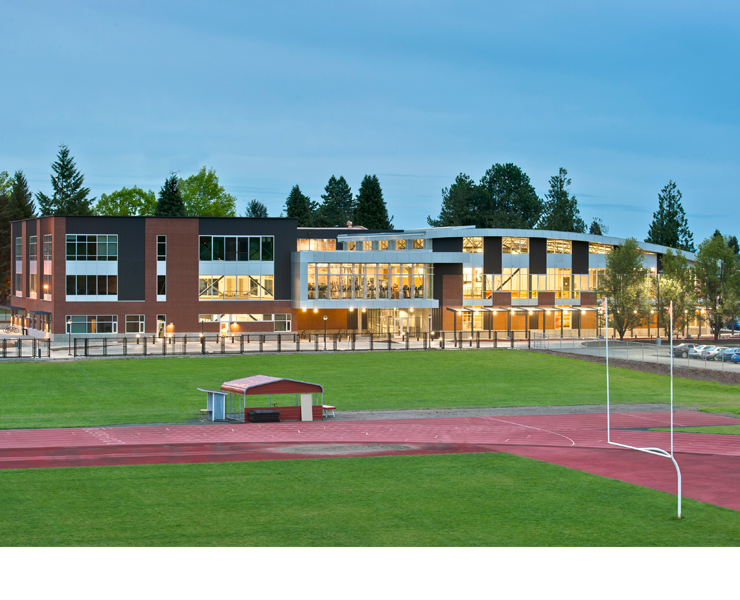 It was completed on-time and on-budget, opening for use less than 24 months from start of design.